There are times when you want to to list out all the stored procedure names that contains certain keyword or search text. Here’s a simple query that helps you do that. Replace the <Search String> with the text that you want to search within all the stored procedures. 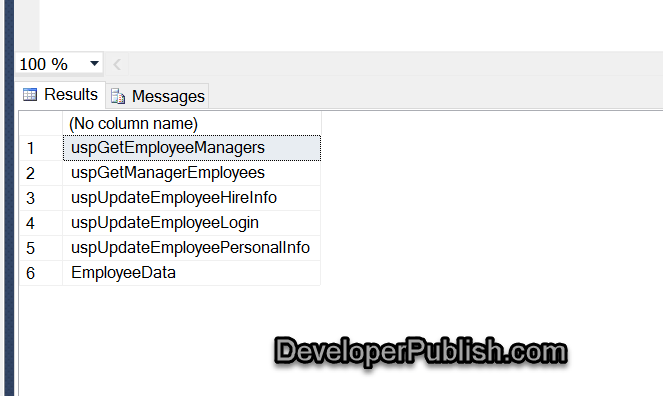 Here’s a query that retrieves all the stored procedures that contains the text employee.